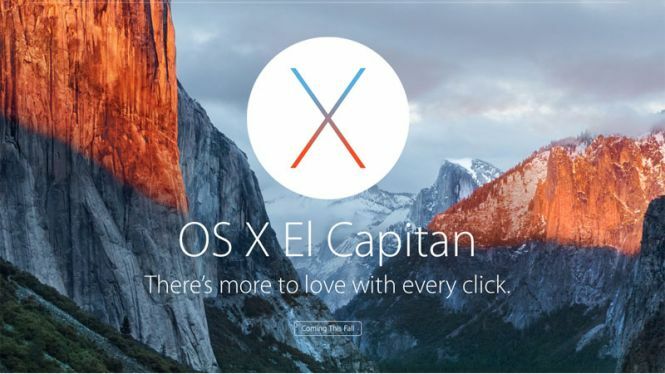 Mac OS X 10.11 El Capitan - download in one click. Virus free. Download the latest official version of Mac OS X 10.11 El Capitan. It comes with a safe official offline installer for Mac OS X 10.11 El Capitan. 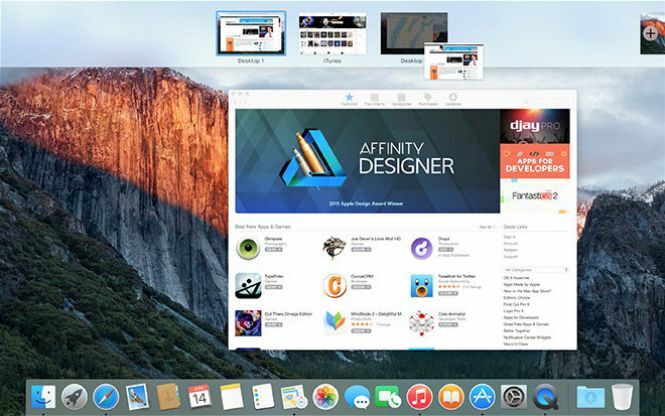 Mac OS X 10.11 El Capitan is a new version of Apple's juggernaut line of operating systems providing the only alternative to Microsoft Windows. This incarnation of OS X has improved security and control features and works a lot more stable, not to mention faster. Due to Apple's Open Beta campaign El Capitan provides a very stable performance and is compatible with most of the popular applications. The system also has numerous security tweaks and improvements that help the system run smoothly and safely. The most prominent new feature is System Integrity Protection, which prevents malware from hijacking your Mac by masquerading as a user with system-administration privileges. The Mission Control feature, which manages your windows and work spaces, has also been significantly improved and behaves a lot smarter, organizing and optimizing user access. Every window gets its own thumbnail, and windows are carefully placed in order not to confuse the user. A new feature called Split View resembles the same thing in iOS 9 and adds an extra dimension of utility to full-screen view in the split mode. This way, you can split the avilable work space between several applications instead of just one. Mac OS X 10.11 El Capitan also features a new and improved version of Safari, now equipped with advanced search mechanics, reworked Favorites and a built-in news feed. Other applications, like Notes, and a lot of bundled software have all been optimized and adjusted to provide the most comfortable experience possible. 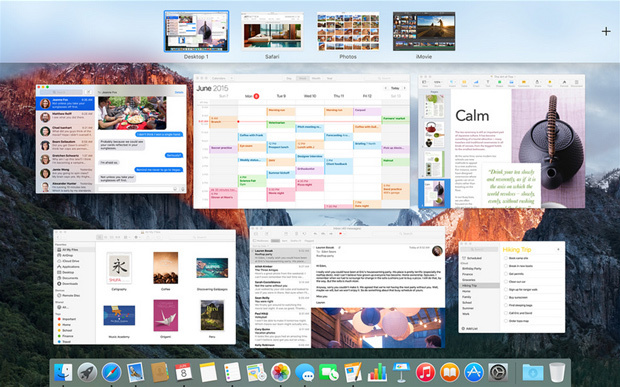 El Capitan is faster, more stable and deserves its name as the next step in Apple's OS evolution. It takes a long while to download. Is it possible to install 10.11 over top of 10.8.5 without losing anything? Is there an installESD.dmg file in this version of Mac OS X 10.11 El Capitan? Will this work on Mac 10.7.5 32-bit? Anthony, if you are currently on Mac OSX 10.7 (Lion), it may be possible to upgrade, but that's not really the info you need to base it off of. It's more dependent on your hardware, so if you're on a MacBook that is 2007 or newer you're probably able to upgrade, yes. Just downloaded the version 10.11 and when I try to run the program, it says I dont have an available application to open it. Did you get it to work? I am facing the same problem. Haydn, you have to install from an install media, like a USB flash drive for example. Search for how to do this, you'll have to create an install disk using built-in utilities in your current OS. The download speeds are quick. It's possible to install any system into windows but by virtuelBox, and it's possible to install MacOs into windows. I got a UEFI boot and a shell. Does anybody know how to install it or boot it? Can you open the archive file? I can't open it, help me install it in Virtual box. Is there any ISO file for 10.11? 2)Choose "Tools > Convert" Menu. 3)PowerISO shows Image Converter dialog. 4)Choose the source DMG file you want to convert. 5)Set the output file format to iso file. 6)Choose the output file name.